Cetinje has been the capital of Montenegro for centuries, and when Podgrocica was declared as capital in 1944, at the end of WWII, Cetinje became cultural and historical center of Montenegro which remained until present day. 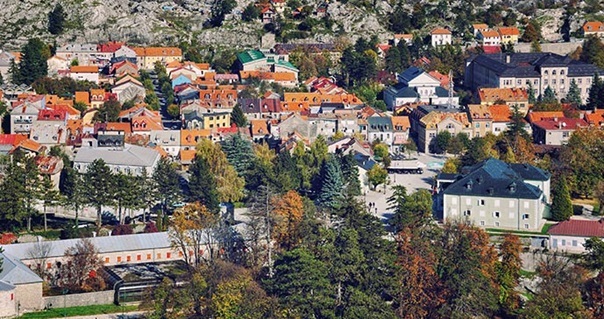 Municipality of Cetinje has about 17.000 inhabitants, with a significant number of tourist in summertime season. It is situated in the karst field (Cetinje field) with average altitude of 671 m.This small town is 12 km of air-line far from Adriatic Sea (20 minutes by car) and 15 km far from Skadar Lake. 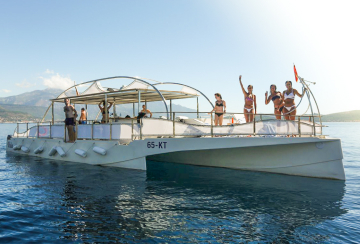 It is located on the main road Podgorica-Cetinje-Budva, which makes it well connected to the inside of Montenegro and Montenegrin coast. 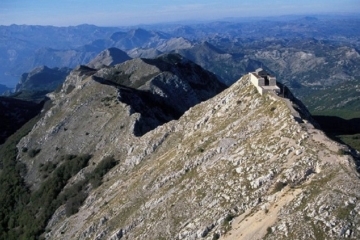 Lovćen Mountain is very important elevation in Coastal Montenegro. 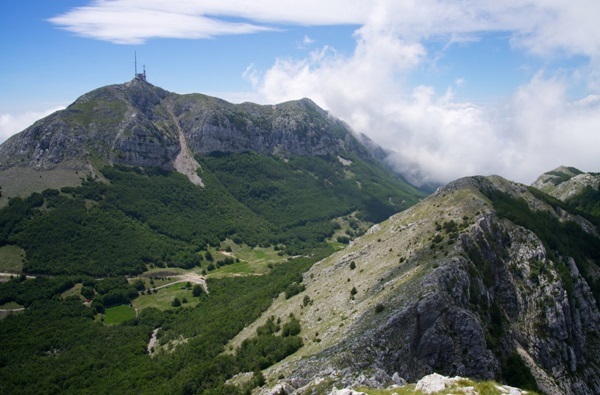 It rises direct above Boka Bay and spreads all the way to Cetinje valley. This area is also called “Sea of the rocks” which has contributed by the limestone that on this mountain is abundant. Even though in wintertime this area is covered in deep snow, this type of stone leaks huge amounts of water directly through the ground. Hence, if you look around, you won’t find any source of fresh water in summertime - no lakes, no rivers, only endless rocks and karst. 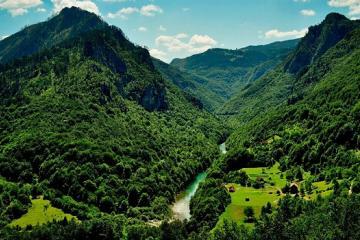 Lovćen National Park is officially declared in 1952 and covers 6.220 ha. 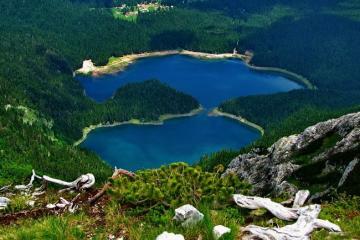 Its highest peaks are Štirovnik with 1749 meters above sea level and Lake Peak (JezerskiVrh) at 1767 m altitude. 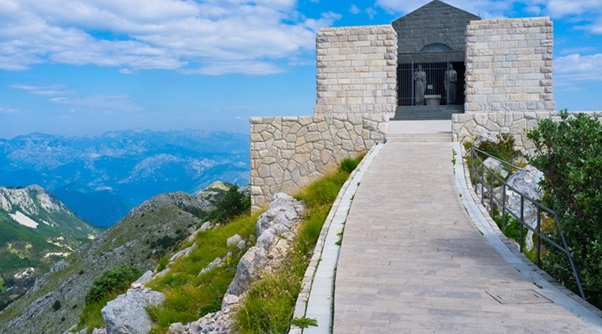 The highest mausoleum in the world is located at this very peak – Mausoleum of PetarPetrović II Njegoš, the great ruler, philosopher and poet of Montenegro. During his life, respected ruler of Montenegro in 19th century, PetarPetrović II Njegoš, built a small chapel at the top of the Lake peak (1767 m), where he was later buried. After the Austrian occupation of Montenegro during the World War I, this church was demolished and Njegoš’s body transferred to Cetinje Monastery. The chapel was restored in the time of King Alexander, in twenties of the last century. Finally, in 1970 communist government of Montenegro began preparations for its demolition and the construction of a mausoleum in the style of the Vienna Secession. 50 tones heavy giantpieceof marble became current 28 tones imposing statue of Njegošsculptured by the famous Croatian artist Ivan Meštrović.At a height of 9 m ceiling is covered with a mosaic of 200 000 gold-plated tiles, while at the lower level just underneath the statue is located a marble sarcophagus with the remains of Njegoš. 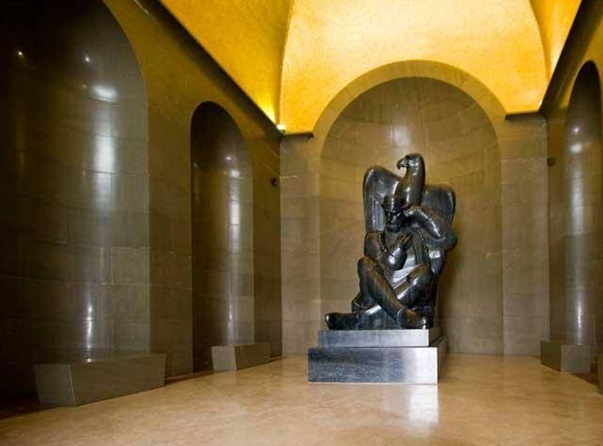 It took four long years for the Mausoleum to be finished (1974) and after last renovation in 2013 there are exactly 461 steps to pass to reach the amazing view-point from the top. 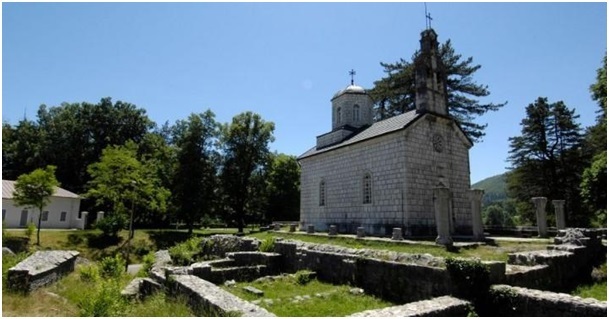 Cetinje Monastery is now religious, but it used to be as wellcultural and educational centerfor many centuries in the past.It is dedicated to the birth of the Virgin Mary and erected by Ivan Crnojević in 1484 - when became the seat of the diocese of Zeta. The monastery was razed to the ground by the Turks in 1692, and renovated by Bishop Daniloin 1701 atits present location. On that occasion, a new monastery was built from the stones and elements of the old one, and it was transferred to the plate with the coat of arms of Crnojević family, together with dedication of master IvanCrnojević. This important holy placewas burned in 1712 and rebuilt around 1743 by the Montenegrin Metropolitan Sava IvanovićNjegoš. Repeatedly reconstructed, and its current appearance dates from 1927. 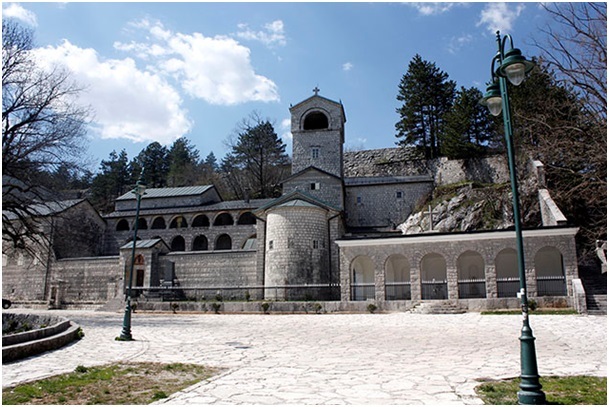 The monastery is the Church of the Nativity of the Virgin Mary where the relics of St. Peter of Cetinje (Petar I PetrovićNjegoš) are being held. In the monastery are as well kept - hand of St. John the Baptist, particles of the Holy Cross, epitrachelion of Saint Sava from the 13thcentury (RastkoNemanjić, the founder of the Serbian Orthodox Church), crown of Serbian King Stefan of Dečani of Nemanjić from 14th century (which was equivalent to the crown of the Montenegrin King Nikola I Petrović, who was crowned 1910), the rod of the first Montenegrin ruler IvanCrnojević I from the 15th century, and Cetinje Chronicle. Before “Biljarda” was built, the monastery was residence of Bishop PetarPetrović II Njegoš. The Virgin of Filermosa, the miraculous icon and one of the most important Cristian holy objects, is kept at the National Museum in Cetinje in a specially designed room. The time and place of making are unknown, but it is a known fact that in 1484 Ottoman Sultan Bayezid II gave it as a present to the Knights of the Sovereign Military and Hospitaler Order of St. John of Jerusalem, (later on of Rhodes and later of Malta) who then gave it as a present to the Russian Czar in the 18th century. In 1930, the Russian emigrants gave it to Serbian King Aleksandar Karađorđević. 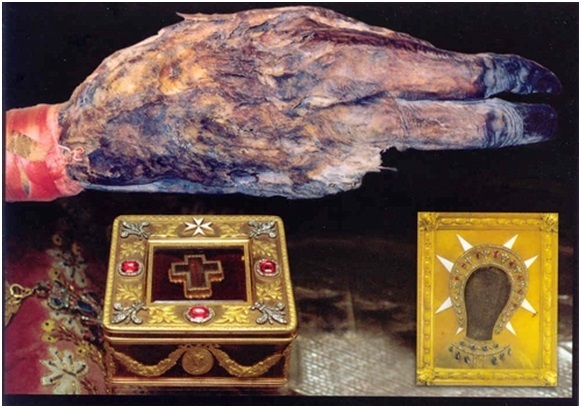 Finally, in 1930, it was taken to the Ostrog Monastery together with the other two relics – the hand of St. John the Baptist and a fragment of the Holy Cross, which are now kept in the Cetinje Monastery. If we look at the other relevant cities in Montenegro, which were first found thousand years ago, Cetinje, with its 500-years-long existence, is a young, but not less important settlement. Cetinje is belived to be founded by the ruler of Zeta Ivan Crnojević, who fled the fortified town of Žabljak (located at Skadar Lake, not present-day Žabljak on Mt. 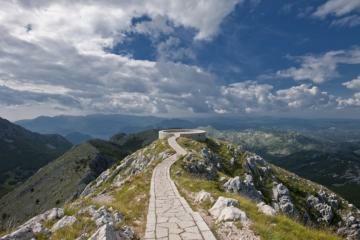 Durmitor) before the Ottoman invasion and built hid residence in the rock-bound Cetinje plain below Mt. Lovćen in 1482. Two years later he built s monastery at the site of the present Church in Ćipur. With the erection of the palace and the monastery the new capital, named after a small Cetina river running through the plain, was established. In 1485, IvanCrnojević moved the seat of Zeta Metropolitan from Vranjine to the newly erected monastery, thus turning Cetinje into both the secular and spiritual center of Montenegro. 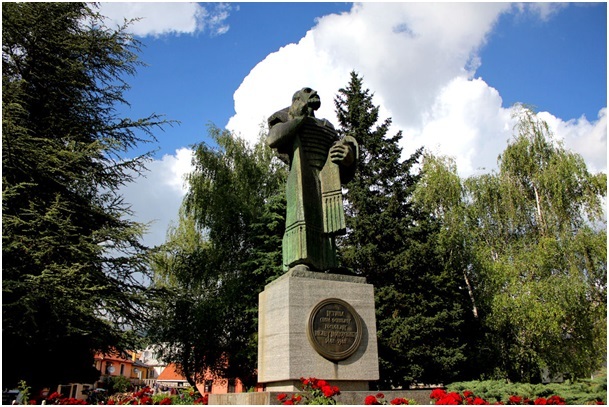 In 1493, Ivan’s son ĐurđeCrnojevićestablished in Obod (and later in Cetinje), the first printing press in the Slavic south, where church books were printed in Cyrillic alphabet and illustrated with drawings of exceptional beauty. First book ever printed in thisarea was Oktoih (Eight Voices Psalm Book) which is now kept in the library of the Monastery Museum of Cetinje. After the downfall of Crnojević family, at the end of 15th century,most of Montenegro was conquered by the Ottoman Empire, along with Skadar area (called SkadarSanjak), while only Cetinje managed to retain permanent freedom and allegedly it was never under the Turks. Due to the war with the Turks, Montenegro, in order to protect its state, signed an alliance with Venice to the 16th century, andCetinje Metropolitan, together with the Venetian army, actively fought against the Ottoman Empire. 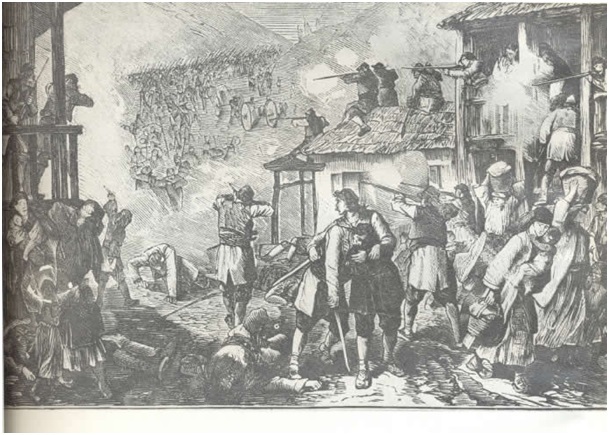 In 1685, according to written documents, Turks manage to penetrate to Cetinje, and burn the Cetinje monastery. It was the only time when the Turks by force of arms, after two centuries of persistent struggle with the Montenegrins, tried to establish control over then the only free part of Montenegro. Famous Turkish warlord Suleiman - pashaBusatlija, 1692, begins the second hike to comply Montenegro. Turkish forces have started puncturing to Cetinje and taking advantage of untimely and rather loose alliance between the Venetians and Montenegrins, they manage to order the bombing of Cetinje Monastery(with the help of Venetian detachment stationed in Cetinje). 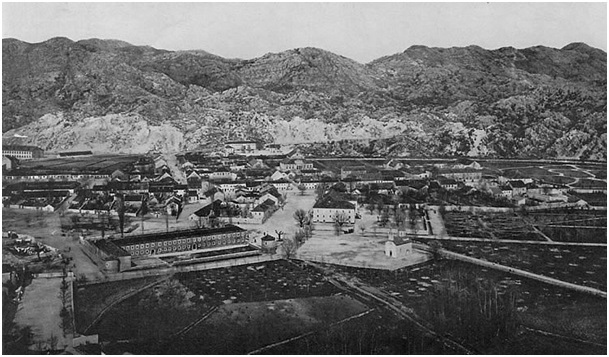 Then Montenegrin forces in the town of Cetinje and around reorganize in a guerrilla way of fighting and inflicting very heavy losses to considerably more powerful Turkish army. 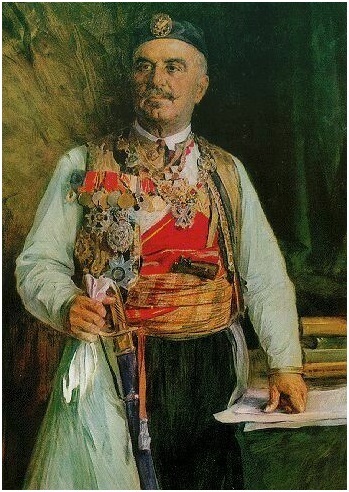 Constant attacks by the Montenegrins, especially at night, forced Suleiman-pasha to leave Cetinje, and with his departure disappeared and the idea of establishing authority over Montenegro. The year of 1697 is important for dynasty of Njegoš which will, with small interruptions, rule for next 220 years. 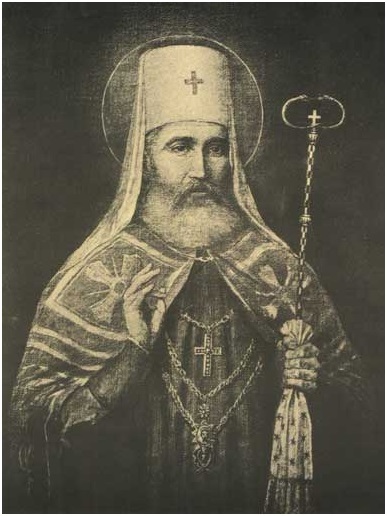 As an exceptional spiritual and secular ruler, Bishop Danilo (who have been the founder of Petrović-Njegoš dynasty) remains in power until 1735 year. During his reign for the first time relations with Russia were established, and Montenegro became an ally of Russia. 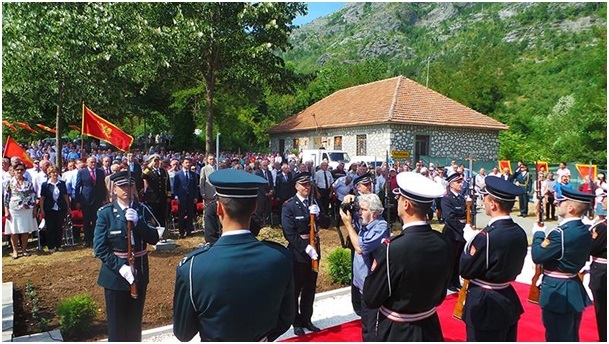 That meant a lot for small country like Montenegro – besides military enforcement, Cetinje got a permanent financial fond for the monastery that was paid in every three years. After Danilo, both church and state control goes to Sava Petrović, who in 1750 passesthrone to his younger cousin VasilijePetrović. In 1752, Vasilije manages to out of loyalty and alliance between Montenegro and Russia getsympathy of this great empire, resulting patronage of Russia over Montenegro. Sudden death of Vasilije makes change of power and in 1767 Šćepan Mali (also known as “false Czar”) gets the control of Montenegro. He gets killed by his servant in 1781, and his place takes unfit and very old Bishop ArsenijePlamenac for next three years. 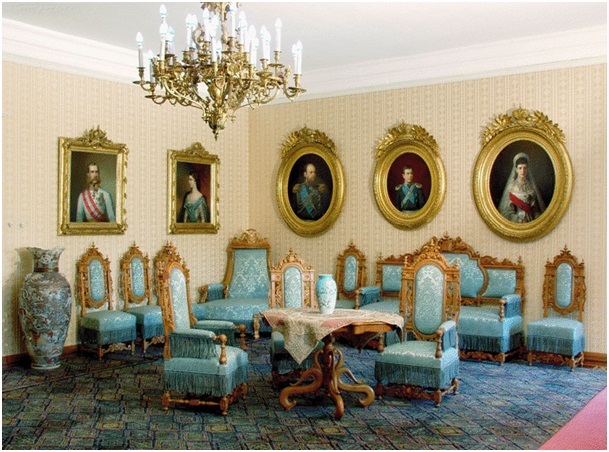 Finally at 1784 the throne of Montenegro goes to respected MetropolitanPetar IPetorvićNjegoš. He was respected, spiritual bard, a gifted military leader, a recognized diplomat, a great reformer. During his reign Montenegrin state for the first time received the written laws (Zakonik Petra I). Metropolitan dies in Cetinje in 1830. 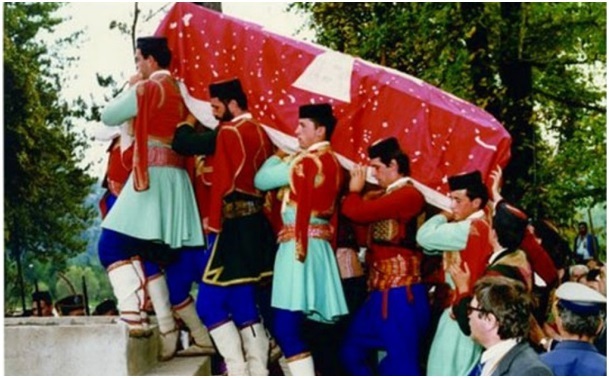 He was buried in the church of the new Cetinje monastery, and in the history of Montenegro, the statesman is remembered for great contributions in advocating for Montenegro introduced into Europe, opening schools, gaining international personality of the state, the merits of statesmanship and religious work, and because of that he is remembered as "the holy Bishop". 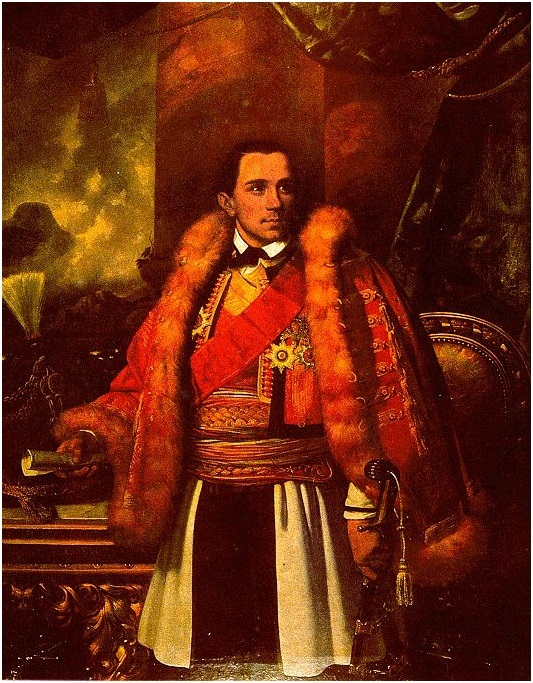 On the throne of the Montenegrin church and state in 1830 comesPetar II PetrovićNjegoš (1813 - 1851).To more modern history known as the great philosopher and poet. He had great contribution to literature, education and the promotion of Montenegro in various countries of the world. He traveled a lot through Europe and was horary guest of Austria and Russia. His most famous book “The Mountain Wreath” (GorskiVijenac) was first published in Vienna in 1847. Danilo I PetrovicNjegošcame on the throne of Montenegro in 1851. Next year, 1852, the Montenegrin Senate declared thestate as Principality, and Danilo has officially become the Prince, which was immediately confirmed by the Russian Federation. Peace was concluded in 1853 between Montenegro and Turkey, and the same year Prince Danilo visited the Austrian emperor. 1855 Prince Danilo has conducted a series of reforms in Montenegro census, reorganization and formation of the army, and the Code was adopted by the 95 members and established fighting units (Garda). Sadly, on 1st of August 1860 Prince Danilo was killed by arenegadeTodorKadić in Kotor (Austro-Hungarian Empire), and the throne inherited Danilo’s younger cousin Nikola I PetrovićNjegoš. Nikola (later King Nikola) was only 19 years old when he got the head seat, but that was not an obstacle, since Prince Danilo sent him to the best schools in Europe and provided proper education for his future state role. During the reign of King Nikola, Montenegro has gained even more importance in all fields of social life, and his wise policy promoted Montenegro as a modern European Country, while the capital of Cetinje in late 19th and early 20th century became a very important center of many of the world diplomats, politicians, writers, travelers and others. Many new schools and hospitals were open, while the military was reinforced. 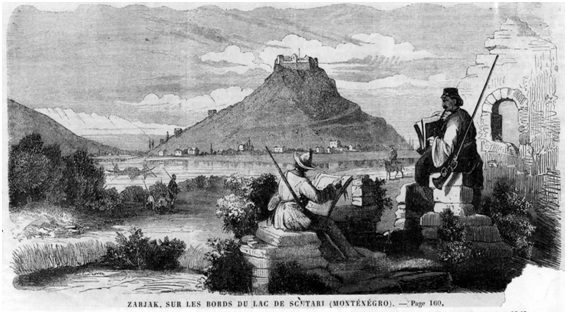 In September 1862 Montenegro concluded final peace with Turkey, which greatly contributes to the stabilization of life both in the country and in Cetinje as a capital city and center of Montenegro. 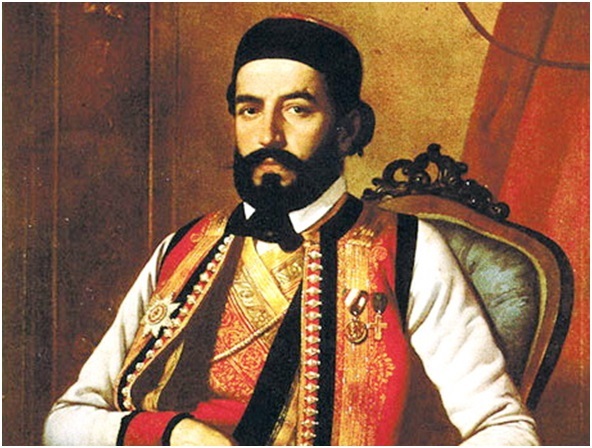 In 1866 a contract was signed between the King Nikola and the Serbian Prince MihailoObrenović, the cooperation between Montenegro and Serbia for the Liberation. Later in 1878. 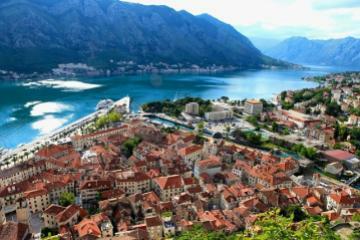 Montenegro for the first time officially is proclaimed as one of 27 internationally recognized states in the world. The territory of a state is extended to nearly 10.000 square kilometers, and included the cities of Podgorica, Bar,Kolasin, Spuž, Plav, Gusinje, Šavnik, Žabljak and part of Piva. In 1910 Montenegro was proclaimed a kingdom, and in Cetinje on the occasion was organized a celebration of the golden 50 anniversary of the reign of King Nicholas of Montenegro. 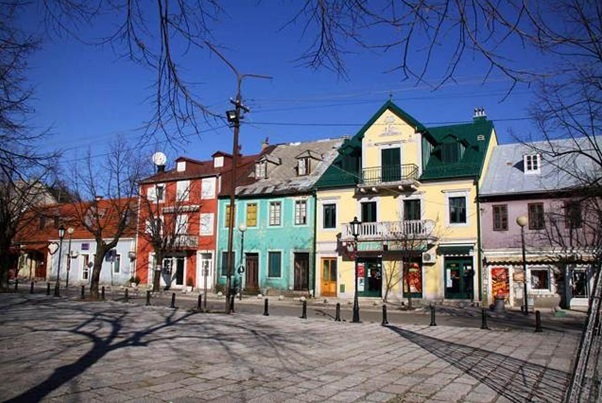 Cetinje gets architectural and urban settles, and first mission of foreign countries are built: Austria-Hungary, Russia, Italy, England, France, Bulgaria and others. Buildings that were once located the mission of leading European states, and today exist at the same location. In a particular are situated cultural - historical institutions of Montenegro and some of them are expected renovation or refurbishment. Two years after it’s been declared as kingdom, Montenegro participate in Balkan wars (1912-1913) and expands its territory for 10 cities more which makes its complete surface 14.443 km2. In World War I Montenegro unites with Serbia and goes into a war fight with much bigger Austro-Hungary. 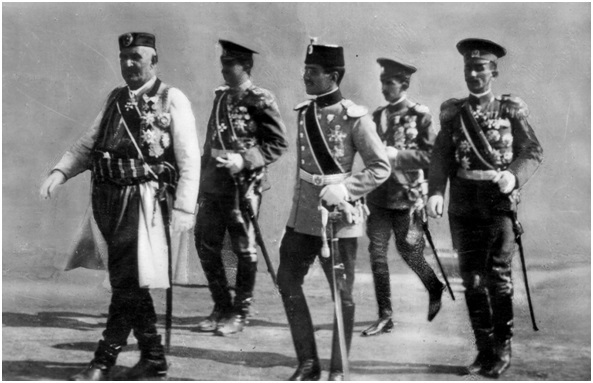 In 1916 there was a great upheaval - the Montenegrin Army capitulates, and because of the circumstances in the country, which have adversely affected the ruler, King Nikola Petrović goes to exile in France. 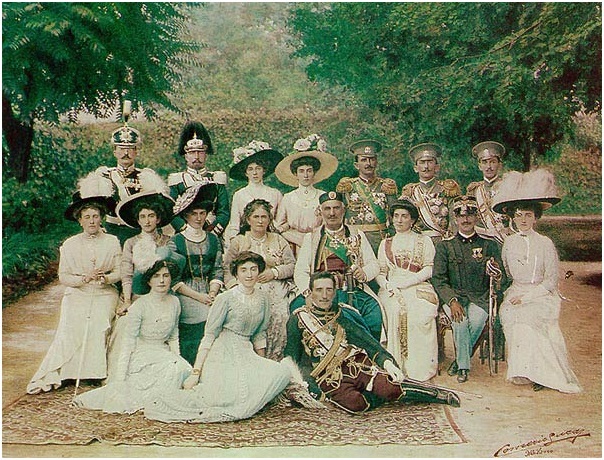 Dynasty of Njegoš ended their two-hundred-years-long reign in 1918, and soon after King Nikola dies (1921) in Kan Antibes, near the city of Nice. Thanks to the Russians, he was buried in the Italian city of San Remo, in the Russian Church, where he rested until 1989. The tomb of the royal couple was opened in 1989 when they were returned to their homeland. 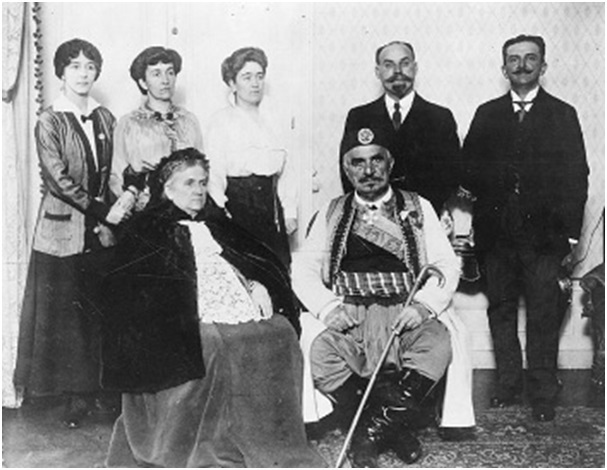 Even though Montenegro liberates form Austro-Hungarian Empire in 1918, it was merged with Serbia, while the royal family was immediately taken down from the throne. Treaty of Versailles in Paris in 1919 recognized the new state in the Balkans - the Kingdom of Serbs, Croats and Slovenes, and thus recognized the annexation of Montenegro to Serbia. That year, the state officially Montenegro ceased to exist, and capital of Cetinje start losing importance. The influence of Serbia and its policy on events in Montenegro and Cetinje was constant up until World War II in 1941, when Montenegro, on July 13, under the leadership of the Communist Party of Yugoslavia, was proclaimed a sovereign state. Already before the end of 1941, Cetinje occupies Italian army, the city lives in fear and under the reign of the new occupiers. Liberation of the city came in 1944, when Partisan troops and rebels from Cetinje brought freedom of the city. Within the Republic of Montenegro, after World War II Cetinje is no longer the capital - its function was replaced by new capital,Podgorica. Although Cetinje is no longer the capital of Montenegro, it has never stoped to be spiritual, educational and cultural center. Today, Cetinje is the town of museums, archives, libraries, galleries, art biennials, and university institutions. It is a town that has preserved the past centuries for the future. Photo credit:bradtguides.com, bankar.me, -, waytomonte.com,-, cetinje.me, cetinje.travel, cetinje.travel, en.wikipedia.org, cetinje.travel, erepublik.com, crnagora.me, -, -, -, -, -,poreklo.rs, cetinje.travel, -, -, -, -.